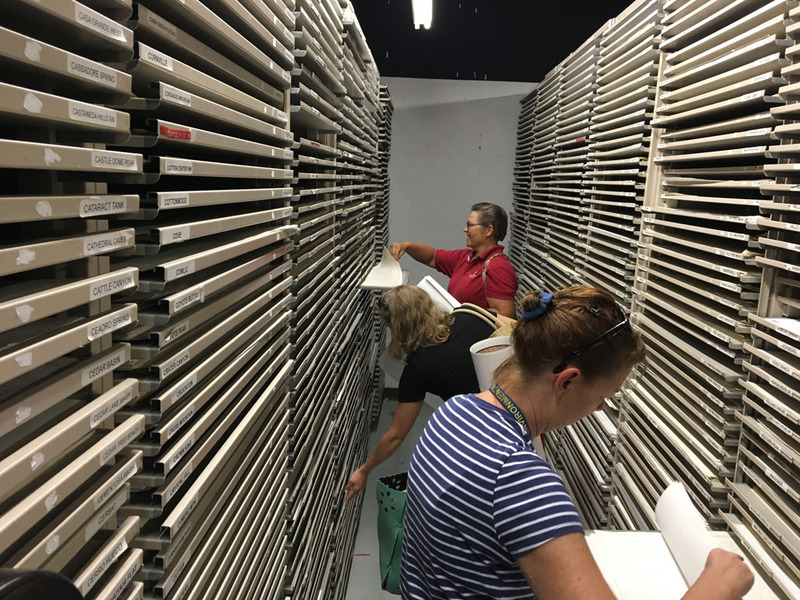 AZGS opened its Tucson library, publications storeroom and topographic map room to the public today to take anything they wanted before the office closes next week to move to the University of Arizona. Geologists, mining engineers, teachers, students, and science fans hauled off hundreds (thousands?) of books, reports, circulars, geologic maps, and other materials. The topo map room was crowded all day as people searched among the 2,000+ titles for maps of interest. Special thanks to volunteers Dan Aiken, Simone Runyon, and J.D. Miser who helped visitors find particular items, helped carry out boxes of books, and guided people to the right basement repository. 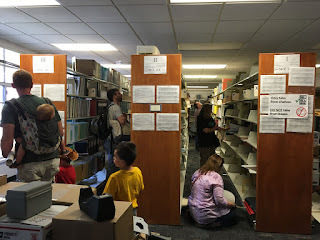 We are surprised at the amount of interest in so many different items in the library including many seemingly obscure mining journals and gray literature materials. 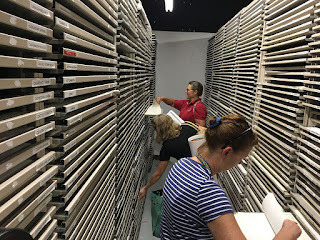 We recognized many consulting and independent geologists who took advantage of the downsizing to add selected items to their professional libraries. 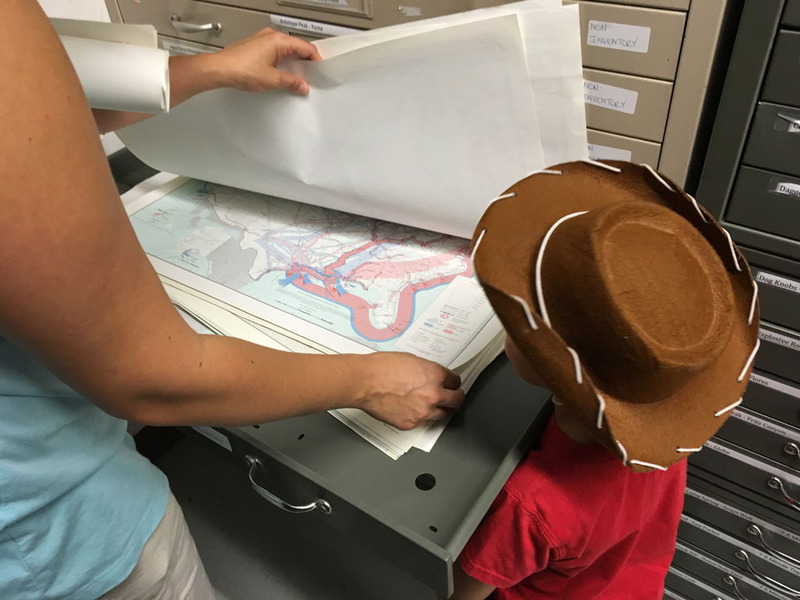 The state geologic map was a particular hit to the non-scientists. Lots of families came through with kids in tow. The giveaway continues through 4 p.m. Thursday. The AZGS retail store closes permanently at 5 p.m. After that, we will be emptying the library shelves in preparation for dismantling them to send to the Phoenix mineral museum until that facility is reopened. The bookstore displays and remaining inventory will also be sent to the museum as the basis for the museum gift shop - bookstore.